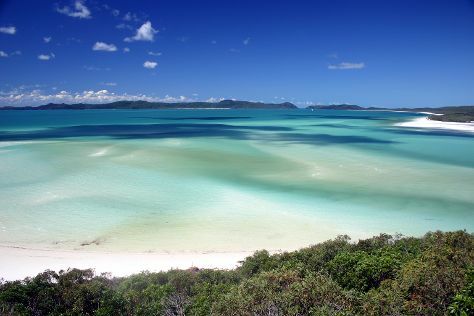 Start off your visit on the 23rd (Tue): kick back and relax at Whitehaven Beach. To find ratings, maps, photos, and other tourist information, read our Whitsunday Island online attractions planner . Albany, USA to Whitsunday Island is an approximately 33-hour flight. The time zone changes from Eastern Standard Time to Australian Eastern Standard Time (Queensland), which is usually a 15 hour difference. Traveling from Albany in April, things will get warmer in Whitsunday Island: highs are around 82°F and lows about 66°F. Wrap up your sightseeing by early afternoon on the 23rd (Tue) to allow enough time to travel to Brisbane. For other places to visit, more things to do, reviews, and other tourist information, read our Brisbane online trip itinerary maker . Traveling by flight from Whitsunday Island to Brisbane takes 3.5 hours. Alternatively, you can do a combination of bus and flight; or take a train. Traveling from Whitsunday Island in April, plan for slightly colder nights in Brisbane, with lows around 61°F. On the 23rd (Tue), you'll travel to Adelaide. 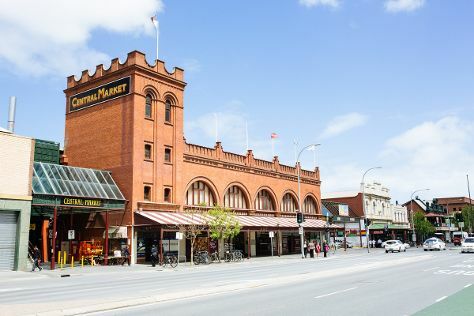 Adelaide exists contentedly as a cultured, diverse, and attractive city with a laid-back center, leafy residential districts, and an underlying cosmopolitan atmosphere. Kick off your visit on the 24th (Wed): get a taste of the local shopping with Unique Opal Mine Pty Ltd, then admire the masterpieces at Art Gallery of South Australia, and then hunt for treasures at Adelaide Central Market. To find where to stay, photos, traveler tips, and more tourist information, read Adelaide trip itinerary planner. Fly from Brisbane to Adelaide in 5 hours. Alternatively, you can do a combination of bus and flight; or drive. Prepare for slightly colder weather when traveling from Brisbane in April: high temperatures in Adelaide hover around 72°F and lows are around 54°F. On the 24th (Wed), wrap the sightseeing up by early afternoon so you can travel to Melbourne. 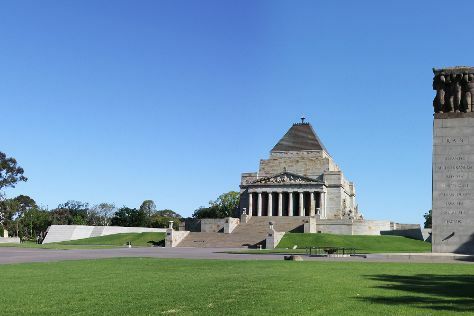 Kick off your visit on the 25th (Thu): explore the galleries of Shrine of Remembrance and then wander the streets of Melbourne Central. For other places to visit, traveler tips, maps, and more tourist information, go to the Melbourne trip maker website . You can fly from Adelaide to Melbourne in 3.5 hours. Alternatively, you can drive; or take a train. In April, plan for daily highs up to 68°F, and evening lows to 50°F. Wrap up your sightseeing on the 25th (Thu) to allow time to travel to Sydney. 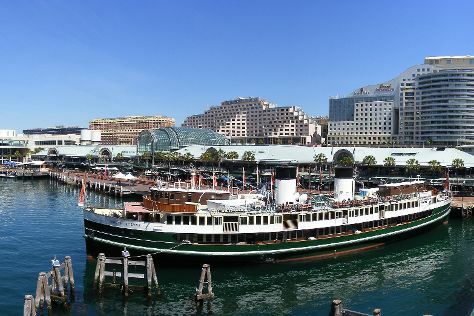 Kick off your visit on the 26th (Fri): take a stroll through Darling Harbour and then look for gifts at Sydney Fish Market. For more things to do, reviews, other places to visit, and other tourist information, you can read our Sydney travel planner. Fly from Melbourne to Sydney in 3.5 hours. Alternatively, you can do a combination of shuttle and flight; or drive. Traveling from Melbourne in April, you can expect nighttime temperatures to be somewhat warmer in Sydney, with lows of 59°F. Finish your sightseeing early on the 26th (Fri) so you can travel back home.